Lapbooking can be a wonderful way to get your children to learn. They are fun to make, and can really help them to get to grips with a topic. When we first began lapbooking we really didn't enjoy it much. I found it difficult to section the topic into smaller subjects. And we spent so much time making the booklets, that we never quite got to adding any information. I discovered that having the right resources available make a big difference to our sucess! Once I had figured out what I needed to have, and what I needed to do - our sessions became much more fun - and we could get on with the important task of using them for learning. This page lists my top tips and resources for your lapbooking session. Make sure you collect together everything you need before you start. There is nothing more frustrating than spending half an hour looking for scissors or glue when you thought you were set to go. Folders, or large art books for working in. Small ready made-booklets of different shapes and sizes. Envelopes - useful for holding small cards. A ziploc bag containing other items you may use to decorate your book - such as ribbon, stickers, rubber stamps and glitter. Pre-printed images in different sizes relevant to your topic. We found it easier to start with downloadable templates (see resources below), but don't be afraid to branch out with your own ideas. Part of the beauty of this method is that it is so customisable to your own child's learning style. I usually start by making a mind-map of the subject we have chosen - this is a great way to naturally divide the subject into sections. Think of each 'branch' on the mind-map as a new booklet or lift-up flap! A great place to start getting information is to search on You-tube. There are lots of videos there - not just 'how-to' videos, but of children showing off their books. Another good source of information is Flikr. Searching for photographs is a great way to come up with ideas for subjects. 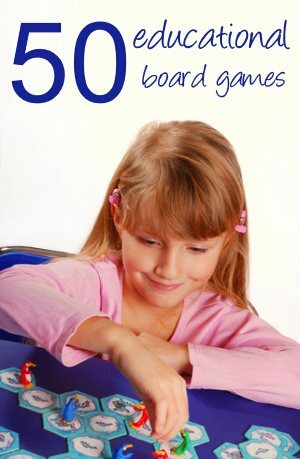 All about lapbooks - This is Homeschooling-ideas page on the subject! Lots of ideas for doing things a little differently. Jimmie's Squidoo Page - Very comprehensive page on what they are, and how to make one. Our Homeschool Style - This hasn't been updated for a while, but this is a lovely blog with lots of photos. Teacher Web - several different booklets that can be made. Eduplace. Lots of printable simple shapes that can be made into shape-books. Making Books. Ideas for making booklets with children. Suppliers of e-lapbook project packs that can be downloaded. Homeschool Share. FREE lapbooks and templates. Really brilliant resource. Currclick. Lots of downloadable templates at reasonable prices. I have used their blank template over and over again on our books. There are lots of other resources available - I just wanted to get you started. Do let me know your favourite resources or tips via my contact page. Are you going to make a Timeline too? Timelines are a wonderful way to study history. Check out my tips on how to make your own timeline for homeschool. Wondering how to fit this into your schedule? 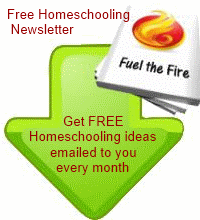 Homeschooling is wonderfully flexible, but it is important to make a homeschool schedule that suits you and your family.